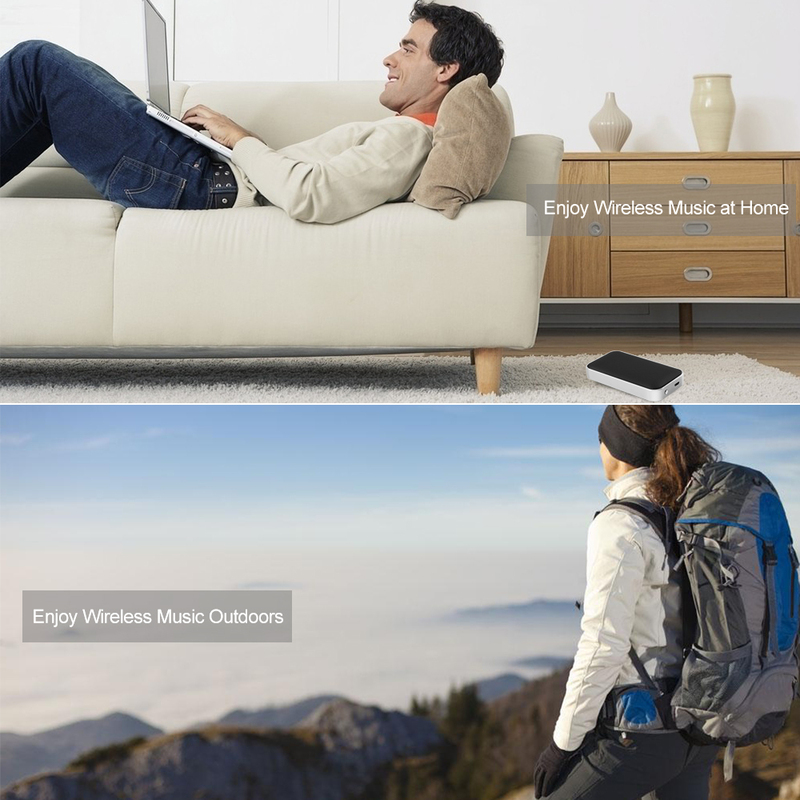 BT207 Slim Bluetooth Speakers, is quite portable for you to carry outdoors. 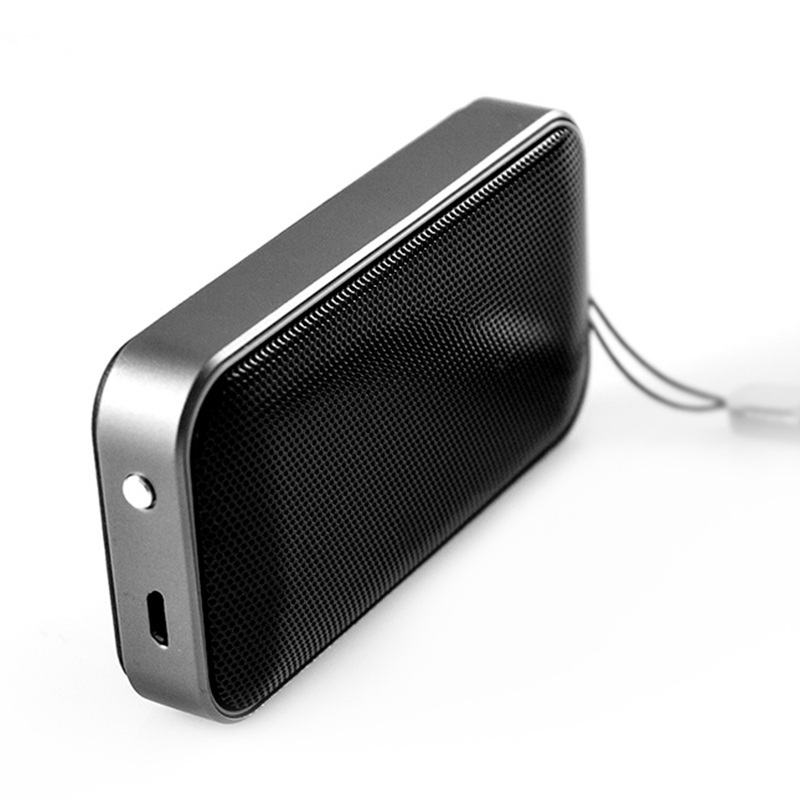 You are able to enjoy high-quality and loud sound music with this palm-sized speaker via Bluetooth connection. It also supports hands-free calling to set your hands free when driving or doing exercise. 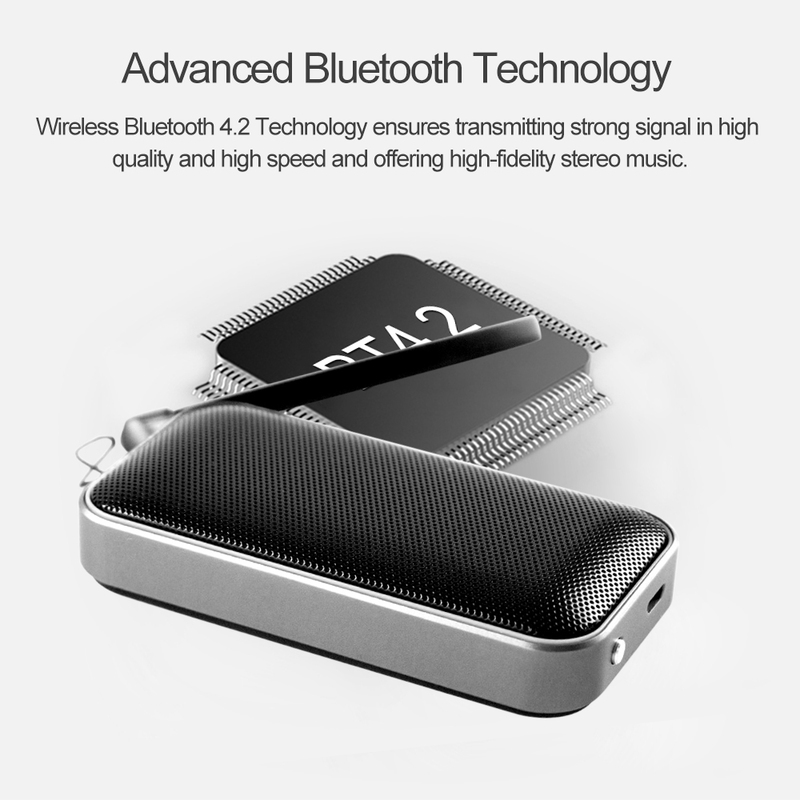 Advanced Bluetooth Technology: Wireless Bluetooth 4.2 Technology ensures transmitting strong signal in high quality and high speed and offering high-fidelity stereo music. High-quality Sound Effect: BT207 with high-quality speaker and vibrating diaphragm, delivers clean and great sound quality, the sound will fully fill the room. 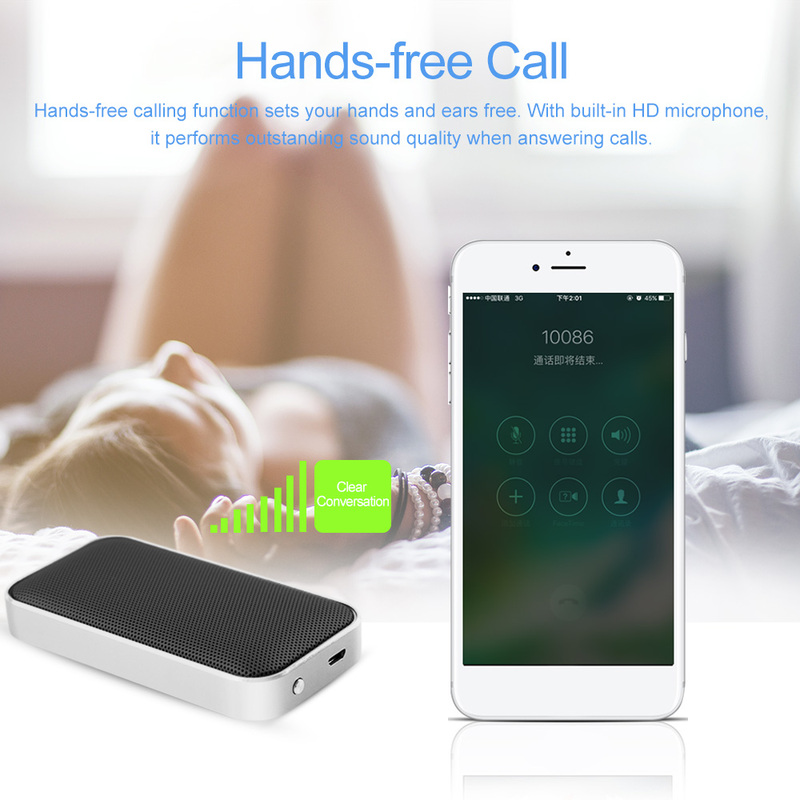 Hands-free Call: Hands-free calling function sets your hands and ears free. 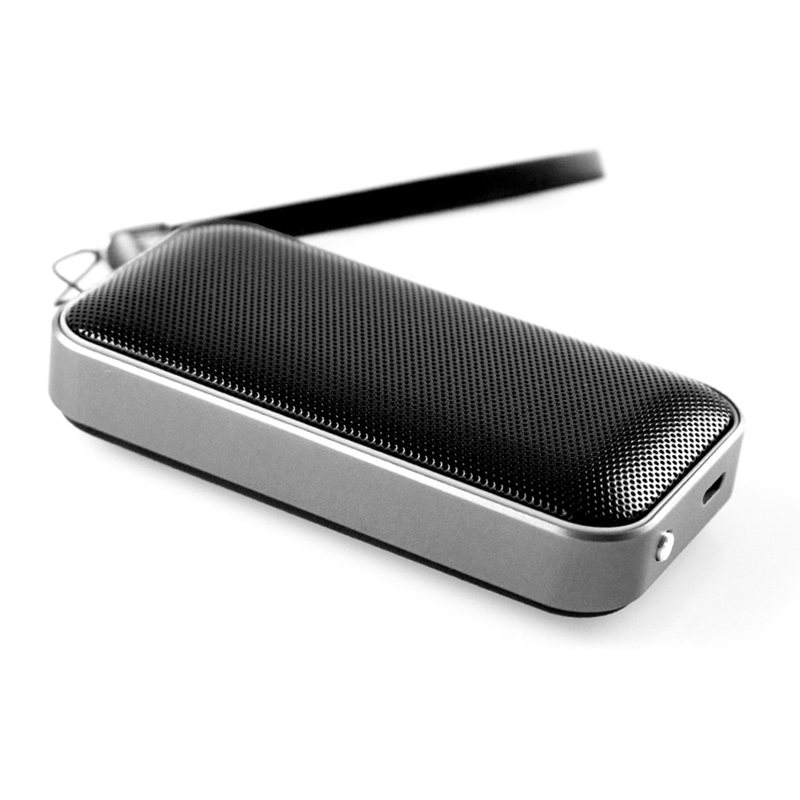 With built-in HD microphone, it performs outstanding sound quality when answering calls. 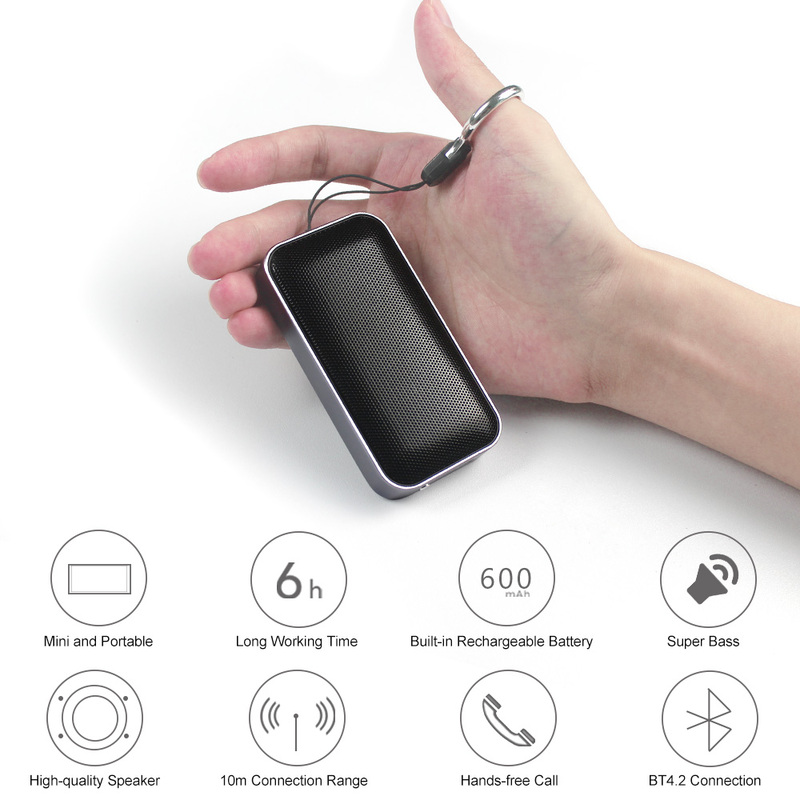 Endurance Time: With build-in high capacity rechargeable 600mAh battery, it provides 6 hours of working time. Powered by the included Micro USB port. 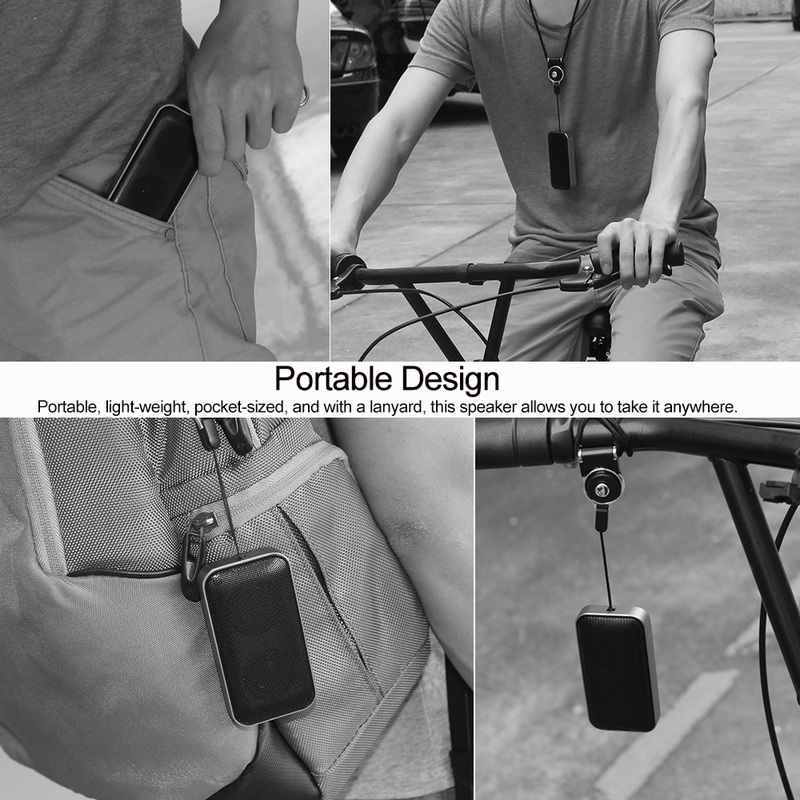 Portable Design: Portable, light-weight, pocket-sized, this Bluetooth speaker allows you to take it anywhere, like climbing, hiking, driving and more.